Throughout history, brave activists have taken a stance against authoritarian governments, fighting for issues like freedom of the press, religious tolerance and civil rights. Some have faced brutal torture for their advocacy, others have spent years in prison, and some have even died for their beliefs. Yet, whatever the details of their incarceration and suffering, the following political activists found that writing provided the perfect outlet for their creative, political and autobiographical works. Here’s a look at 10 political activists who found a voice for their views from behind bars and managed to transmit them back to society outside. 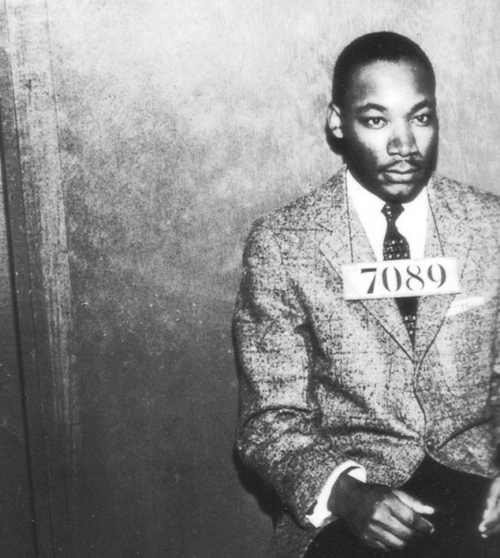 Few political activists have made as much of an impact as Martin Luther King, Jr. did during the American Civil Rights Movement. In April 1963, King, along with other civil rights leaders and activists, commenced the Birmingham campaign, which was a series of sit-ins and pickets to protest segregation. On April 12, he was jailed in the Birmingham City Jail for violating an injunction. A few days before, white religious leaders had gathered together and issued a statement questioning the appropriateness and timing of the protests. King read the statement during his eight days of imprisonment and gradually formulated a response. He sent parts of the letter to movement headquarters, where they were compiled by Reverend Wyatt Walker. The letter justified the Civil Rights Movement and urged white churches and white moderates to do more to help. It was printed and reprinted across the United States, helping to drive the winds of change. In 1953, Fidel Castro was dissatisfied with the Cuban government and the country’s leader-by-force, General Fulgencio Batista. 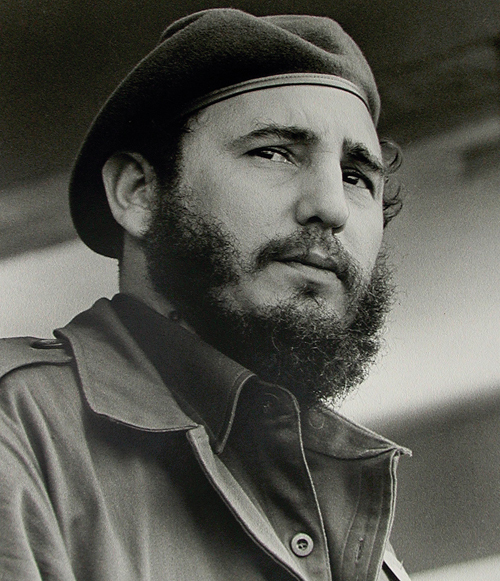 Castro led 123 men and women in an attack and attempted a coup, but it ended badly. The future Cuban leader was captured and narrowly escaped execution. He was sent to a civilian prison and, mercilessly, the army killed 80 of the rebels following the attack. Castro was accused of organizing an armed uprising and was put on trial. However, to Batista’s dismay, Castro, who had trained and worked as a lawyer in Havana, used the trial to expose army torture and Batista’s tyrannical regime. Although many of the rebels were acquitted, Castro was sentenced to 15 years in prison. At the trial he gave a speech that was later titled “History Will Absolve Me,” outlining Cuba’s problems and proposing solutions. Although Castro only spent two years in prison, he used that time to reconstruct his speech, sneaking it out in matchboxes for publication. The speech became a manifesto for the movement. Under pressure, Batista granted Castro amnesty and he was released on May 15, 1955. Kim Dae-jung was a courageous South Korean leader and has been dubbed the “Nelson Mandela of Asia.” As a political activist, he dedicated his life and he sacrificed his freedom. Kim Dae-jung was imprisoned, released and imprisoned again. He even survived several attempts on his life. And in 1980, he was charged with treason and sentenced to death. During his time in prison, Kim Dae-jung read books on history, philosophy, economics and literature. He also wrote letters to his family. These would later be collected and published as his Prison Writings. Kim Dae-jung’s sentence was reduced to life in prison, and later, with his sentence suspended, he moved to the US in exile. 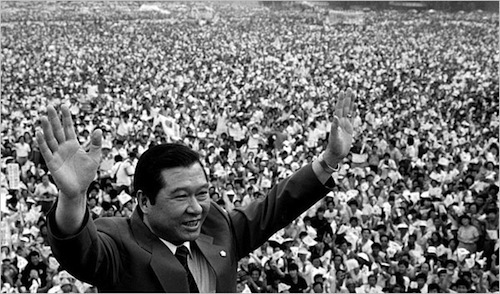 Kim Dae-jung returned to South Korea in 1985 and was elected as president in 1997. It was the first time in Korean history that power had transitioned peacefully to a democratically chosen opposition party. Kim Dae-jung also wrote Mass Participatory Economy, Three-Stage Approach to Peaceful Reunification, and For a New Beginning. Ba Maw was a Burmese politician and lawyer during the British Colonial period. His calling as an activist received a kick-start in 1931, when he acted as the defense lawyer for Saya San, a man who had started a tax revolt that led to national rebellion against British rule. Despite the fact that Saya San was hanged for his crimes, Ba Maw, who had gained prominence during the trial, began to speak out for Burmese self-rule. 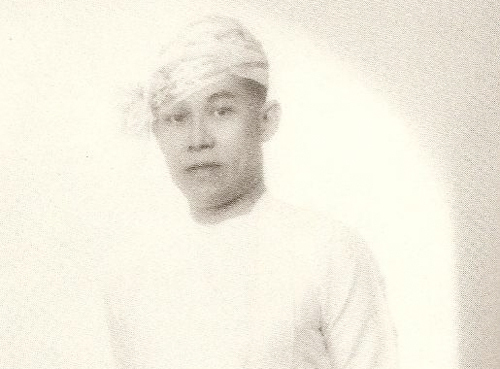 Ba Maw’s political career was pretty rocky, but it included a brief period during which he acted as the Burmese Head of State, after the country was granted independence. Unfortunately, the newly formed state didn’t manage to obtain diplomatic recognition, the army defected to the Allies, and Ba Maw fled to Japan. Ba Maw was captured and was imprisoned without charge or trial from around 1965 to 1968. During this time, he smuggled out a memoir of his experiences throughout the war titled Breakthrough in Burma: Memoirs of a Revolution 1939-1946. It was published in 1968 by Yale University Press (New Haven). Born in London, and living in Paris at the time, French-Algerian journalist Henri Alleg headed off to Algeria at the age of 18. It was 1939, and Algeria was under French rule. Alleg became editor-in-chief, and later director, of Alger repúblicaini, an anti-colonial publication close to the Algerian communist movement. In September 1955, the French government banned the paper, and many of Alleg’s colleagues were arrested. Alleg went into hiding, but he continued to submit pro-independence articles to a French communist journal – although a lot of these were never published due to censorship. On June 12, 1957, Alleg was arrested for undermining the French government. He endured an entire month of brutal interrogation, which included burning, electric shocks, water boarding, and injections of “truth serum.” Yet Alleg never gave in to questioning and was eventually transferred to a military hospital and prison in Algiers. Here, he wrote about his torture experience and smuggled out his writing to his journalistic connections. The book, titled La Question, inspired massive debates in France over the legitimacy of torture, and the French government had it censored. Nevertheless, thousands of copies continued to sell. Alleg eventually escaped from prison. Mordechai Vanunu worked as a nuclear technician in Israel’s Negev Nuclear Research Center. Late in 1985, he was fired for his “left-wing” and “pro-Arab beliefs,” after he had participated in a pro-Arab rally. Vanunu spent time traveling and eventually made his way to London, where he sold his story, and the covert pictures he’d taken of the facility, to the Sunday Times. This was in direct violation of his non-disclosure agreement. Mossad agent Cheryl Ben-Tov lured Vanunu to Rome, where he was drugged, kidnapped and taken back to Israel for a behind-closed-doors trial. Although no journalists were allowed inside, Vanunu wrote information on the palm of his hand and held it against the car window during transport for reporters to see. He was sentenced to 18 years in prison for treason and espionage. Vanunu spent 11 of those years in solitary confinement, for fear he would reveal state secrets. During that time, he wrote a poem titled “I’m Your Spy,” which expresses his concerns over the development of weapons of mass destruction. 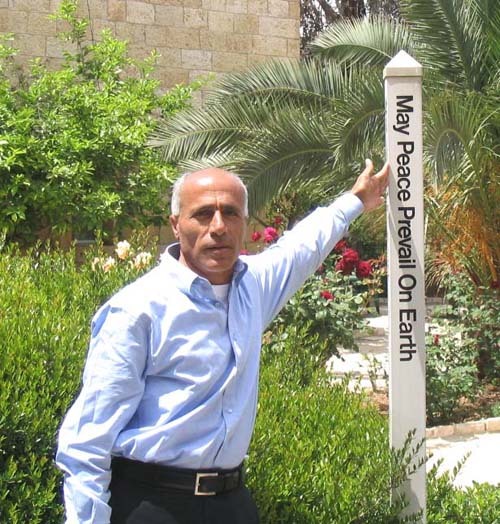 Vanunu finished his sentence in 2004, but he has continued to call for the nuclear disarmament of Israel and even the dissolution of Israel as a Jewish state. Mumia Abu-Jamal (born Wesley Cook) became involved with the US Black Panther party at the age of 15. He was suspended from high school for encouraging “black revolutionary student power,” and he even tried, unsuccessfully, to change the name of the school to Malcolm X High. He then worked as a radio reporter and part-time taxi driver. On December 6, 1981, a Philadelphia police officer by the name of Daniel Faulkner stopped a car that was owned by Abu-Jamal’s brother, William Cook, in traffic. Abu-Jamal, who was parked across the street in his taxi, ran over, there was an exchange of fire, Abu-Jamal was wounded, and Faulkner was killed. 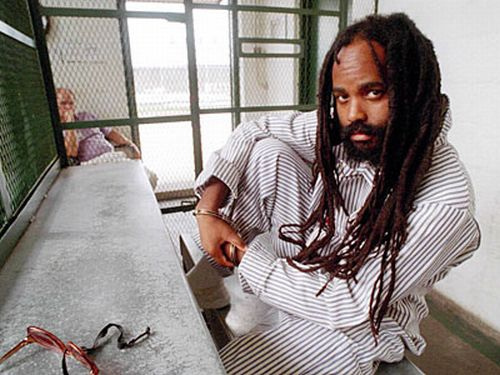 Abu-Jamal was convicted of first-degree murder and sentenced to death, although this was eventually reduced to life in prison without parole. Throughout his time in prison, Abu-Jamal has written extensively about the prison system and the death penalty. His works include Live from Death Row, We Want Freedom: A Life in the Black Panther Party, All Things Censored, and Death Blossoms: Reflections from a Prisoner of Conscience. 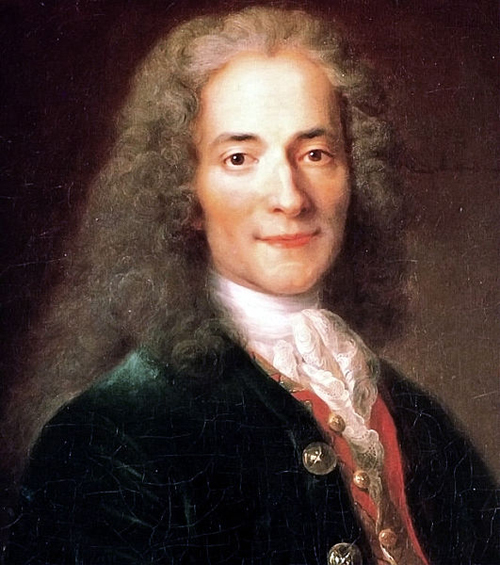 Although Voltaire (whose real name was Francois Marie Arouet) is well known for his philosophical thoughts and writings, less people are aware that he was a political activist. Although he studied law, Voltaire soon chose to become a playwright instead. His intense criticism of politics and religion, written in scathing satire, infuriated the French government in 1717, and he was arrested and imprisoned in the Bastille, where he spent close to a year. Whilst imprisoned, Voltaire wrote his play Oedipe, which became his first theatrical success. His time in the Bastille did not cure him of his satirical wit, nor did it keep him from insulting the politics and religious establishments of the day. And because of this, Voltaire was forced to leave France to avoid further imprisonment and spent time in both England and Germany. 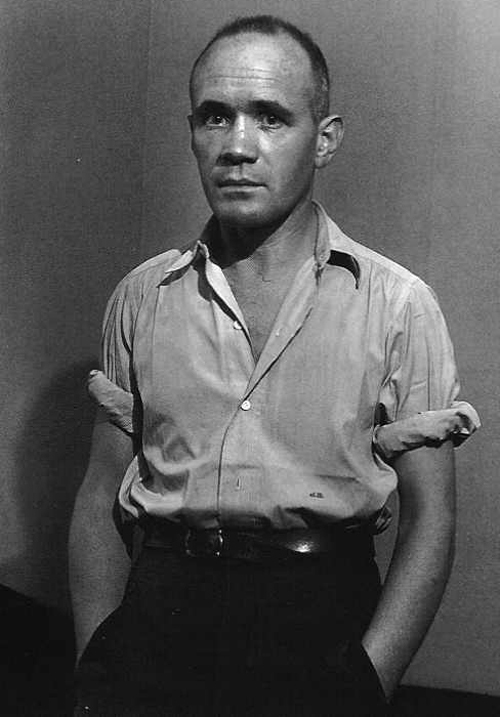 By the age of ten, Jean Genet had earned a reputation as a thief. He continued down this path, becoming a criminal and a vagrant, and was constantly in and out of correctional facilities. After serving time in the army, stationed in Morocco, Algeria and Syria, and traveling around Spain and France, Genet became very sympathetic towards the plight of North African and Arabic people. However, Genet kept stealing and he was incarcerated again in 1941. This time, Genet dedicated his time to writing a book called Lady of the Flowers. Genet’s early work is characterized by a pointed undermining of typical moral values, finding beauty in evil and exploring homosexuality. 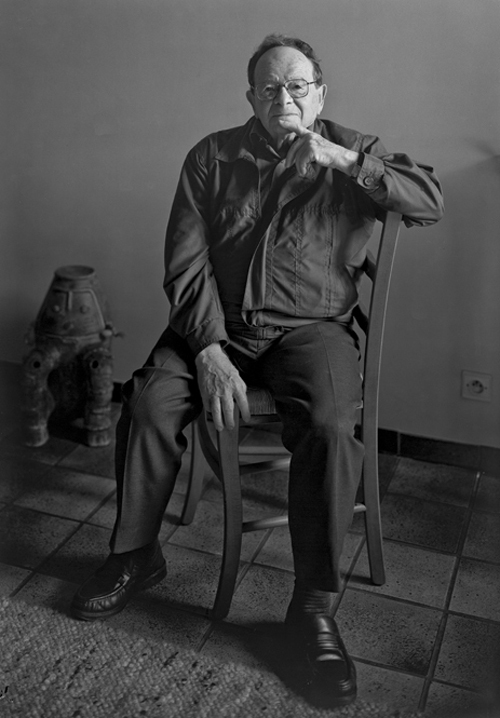 Genet became politically active in the 1960s and worked to draw attention to the poor living conditions of immigrants in France. He gave lectures in the US at the invitation of the Black Panthers, protested police brutality against Algerians, and offered an account of the massacre of Palestinians at Sabra and Shatila in Beirut. 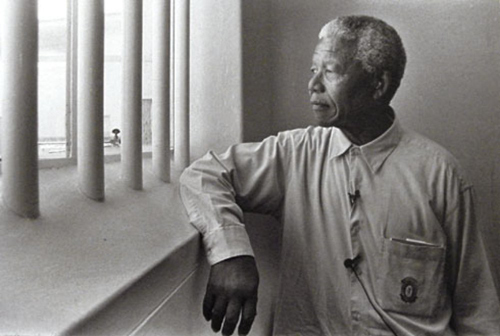 Nelson Mandela’s political tenacity was severely put to the test when he was arrested on August 5, 1962. Mandela had spent the previous year leading a guerrilla campaign against the Apartheid government of South Africa. He was sentenced to life in prison for crimes of sabotage and was imprisoned on Robben Island. 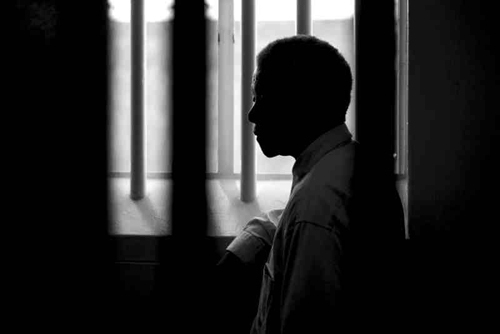 During his first 18 years of imprisonment, Mandela was only allowed one visitor and received just one letter every six months. He was also required to do hard labor in a lime quarry. Despite this, however, he maintained his composure and became one of the most well-known and influential black leaders in South Africa. Eventually, Mandela was transferred to Pollsmoor Prison and then, six years later, to Victor Verster Prison. Mandela’s autobiography, Long Walk to Freedom, was written in secrecy during his imprisonment. It was published in 1994, four years after his release. On May 10, 1994, he became the first black president of South Africa. Solzhenitsyn was sentenced to eight years of forced labor and sent to various work camps, including one in the town of Ekibastuz, Kazakhstan. Here, he began to write on tiny scraps of paper, which he would destroy after memorizing what he’d written. 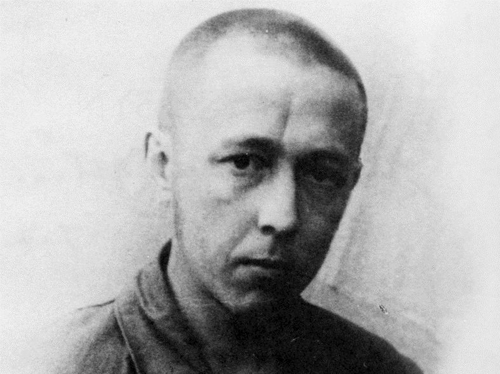 After his release, Solzhenitsyn continued to write, and he eventually published One Day in the Life of Ivan Denisovich, exposing the truth about the Soviet labor camp system.